Food vendors certainly made up a great portion of the vendors at the Wise Traditions Conference, but many other exhibitors were there to share their valuable information. Many of the booths were for the Weston A. Price Foundation itself, including its sister organizations, initiatives, and programs influenced by the teachings of Dr. Weston A. Price. Tim Boyd handles member support for the Weston A. Price Foundation. He’s a great contributor to the WAPF website, writing book and film reviews and other articles. 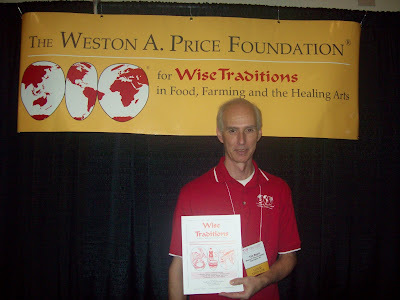 Tim was at the booth, where people could get the WAPF brochures and Wise Traditions periodicals. In addition to running the Weston A. 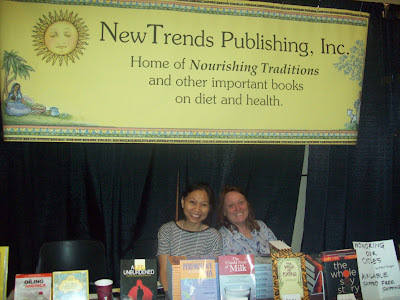 Price Foundation, Sally Fallon also owns New Trends Publishing, which offers many great books to learn more about the WAPF diet and lifestyle. Sally Fallon’s cookbook Nourishing Traditions is a must own for anyone wanting to transition to real food. Other excellent books include Dr. Thomas Cowan’s Fourfold Path to Healing, Kaayla Daniel’s The Whole Soy Story, and Ron Schmid’s The Untold Story of Milk. 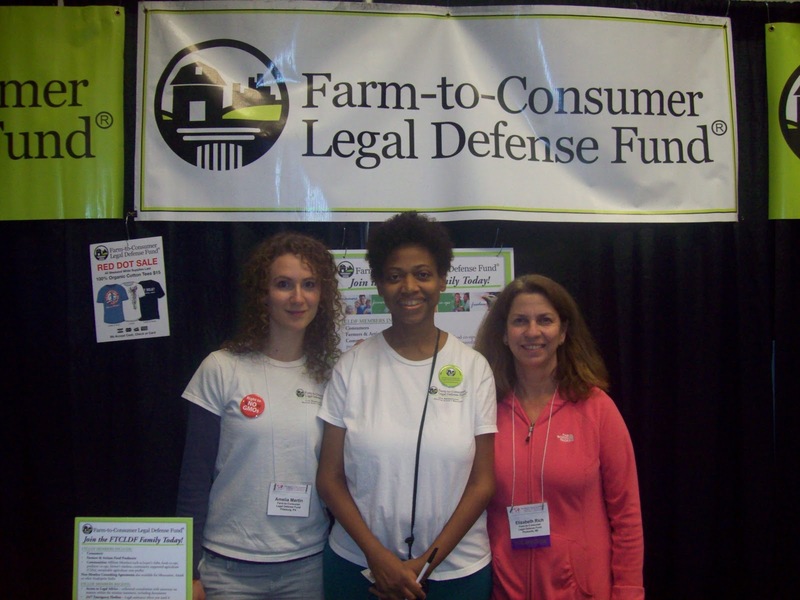 The Farm-to-Consumer Legal Defense Fund is the sister organization to the WAPF. FTCLDF is non-profit organization working hard to allow people to buy products directly from farmers without any government interference. Amelia Martin, Gene Walls, and Elizabeth Rich were at the booth where people could learn more of what the FTCLDF is about and purchase some T-shirts and bumper stickers with messages about food freedom. I love the T-shirt I purchased which says “FDA – Step Away from My Plate”. Sandrine Love is a long time Weston A. Price member. 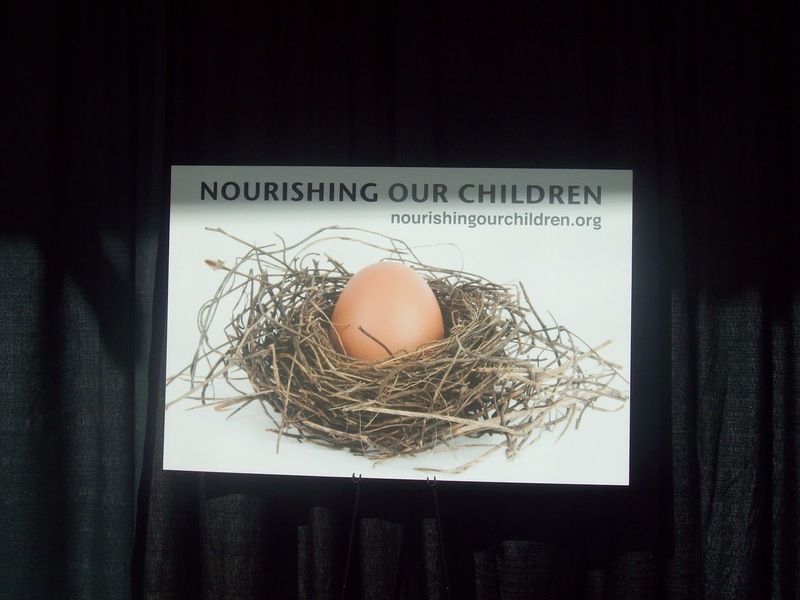 She founded the San Francisco chapter and then created a WAPF initiative called Nourishing Our Children. 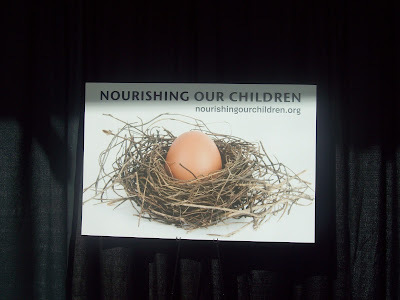 Nourishing Our Children is dedicated to restoring health in today’s youth through having parents learn that traditional foods are the smartest choice. 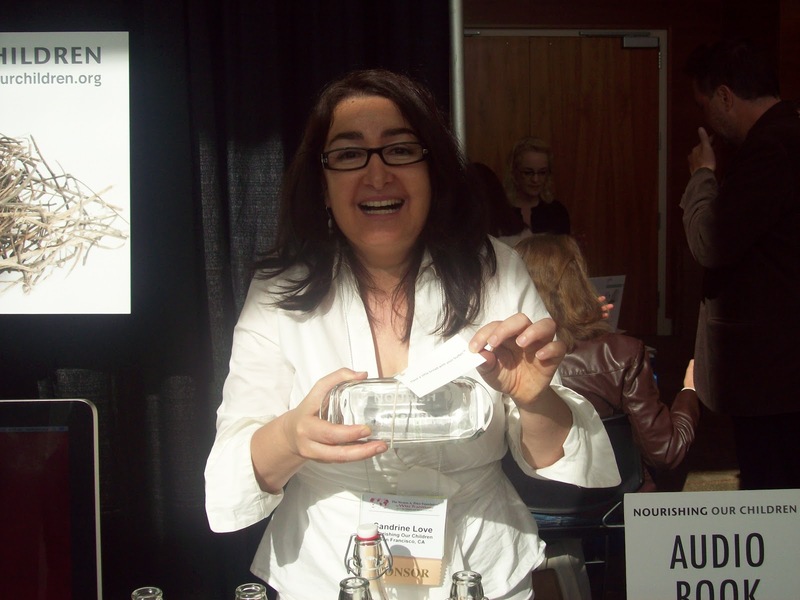 At the booth, Sandrine also sold various glass storageware products. She’s holding a glass butter case as butter is a food that children should be consuming more of. Before the Weston A. 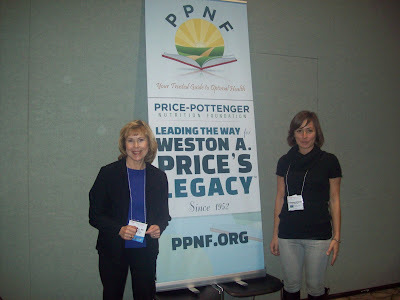 Price Foundation, there was the Price-Pottenger Nutrition Foundation, which allows people to gain access to the books, studies and other works by Dr. Weston A. Price and his partner Dr. Francis M. Pottenger, Jr. Joan Grinzi (left) is the executive director of the PPNF. Francesca Orlando (right) is a nutirional therapist that volunteers for the Price-Pottenger Nutrition Foundaiton. 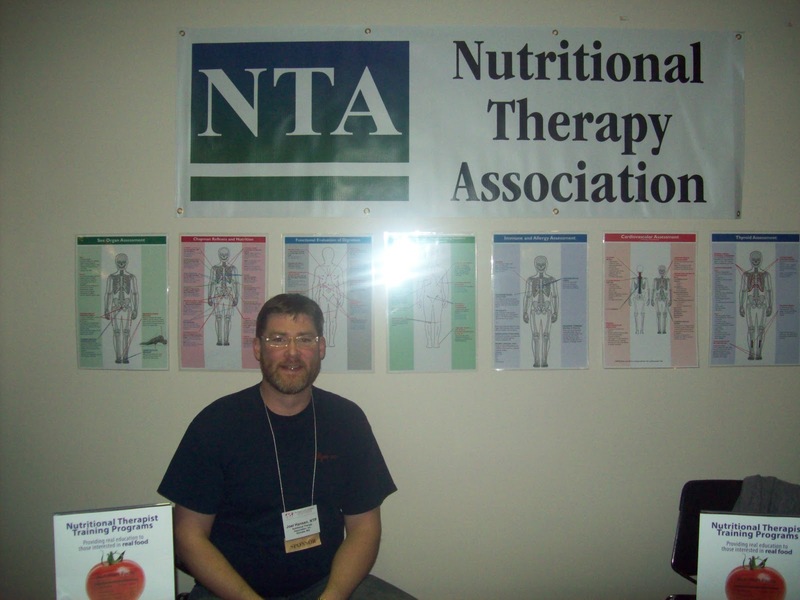 The Nutritional Therapy Association trains people to become nutritionists with a holistic aspect based on the studies of Weston A. Price and Francis Pottenger. The NTA has over 1500 certified Nutritional Therapy Practitioners throughout the United States and Canada. Business Manager Joel Hansen was at the booth to hand out brochures for people to learn more about the NTA.